Protecting your family is undoubtedly on your mind. 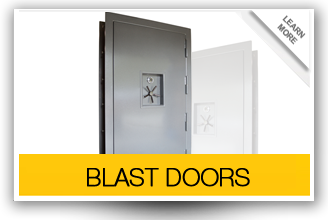 When you build a safe room , you are turning that concern into action. You know that simply insuring that your home meets state or municipal codes doesn’t equal safety. Many homes that meet all legal requirements have been destroyed in hurricanes and tornadoes. Carefully creating an area that will withstand such disasters is an investment in long term security for you and your family. 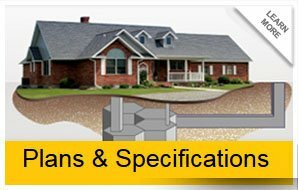 An underground shelter is an excellent choice, and can be built in or adjacent to your existing basement. While other alternatives provide good protection, an underground shelter is best. It’s important to pay close attention to shelter design when building a room below ground level to avoid water accumulation during heavy rains or the storms these rooms are created to guard against. A great location will take advantage of a natural slope or incline to avoid water concerns, and to also achieve good airflow. When preparing for a disaster, natural or manmade, that threatens your family, good planning is necessary. Top on the list of steps you must take is to decide on and implement a shelter design. It’s important to consider NBC shelters, which will guard against nuclear, biological, and chemical threats.If your room is above ground, it’s essential to assure it is adequately anchored, and that the walls, ceiling and door(s) must be sturdy enough to withstand the assault of hurricane strength wind gusts. Sadly, this world is a dangerous place on a scale not dreamed of in decades past. That’s why your need to build a safe room is only going to increase as time goes on. 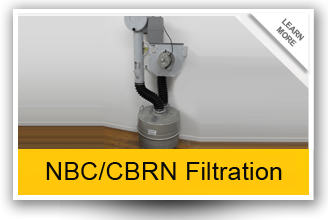 NBC shelters provide the best protection for your family. Nuclear Bio-Chemical shelters are the modern versions of the fall-out shelters of yesteryear. Carefully created to protect your family not only through natural disasters but through the potential threats an attack from hostile forces might bring, you can rest easy knowing whatever comes, your family is safe.